How Can I Send to 3rd Party Lists? We are glad you asked. Sending to 3rd party lists is 100% legal if it is done correctly. The problem most people see is the big “if”. However, as long as you remain CAN-Spam Compliant, you are able to send bulk email to 3rd party lists. What is a 3rd party list? A 3rd party list is a list of emails that have opted-in to receive emails from a 3rd party. You can be that third party! To view the complete CAN-SPAM Act simply go to http://www.business.ftc.gov/documents/bus61-can-spam-act-compliance-guide-business. If you follow these simple steps, you will have nothing to be worried about because you will be 100% legal! With that being said, not all ESP’s allow this type of sending. 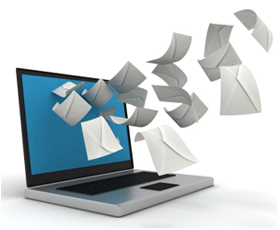 Sending bulk email is viewed as spam in some situations. Always check with your ESP to make sure they allow sending to 3rd party lists. Want to learn more about sending bulk email to 3rd party lists and what it can do for your business? Call one of our email marketing experts toll free at 888-497-7898.